All players interested in Delaware Rush Competitive Teams must attend all tryouts for their respective age group. All players must register online at least 24 hours prior to the tryout. Registration link is below. Offers will be made following the 2nd tryout. 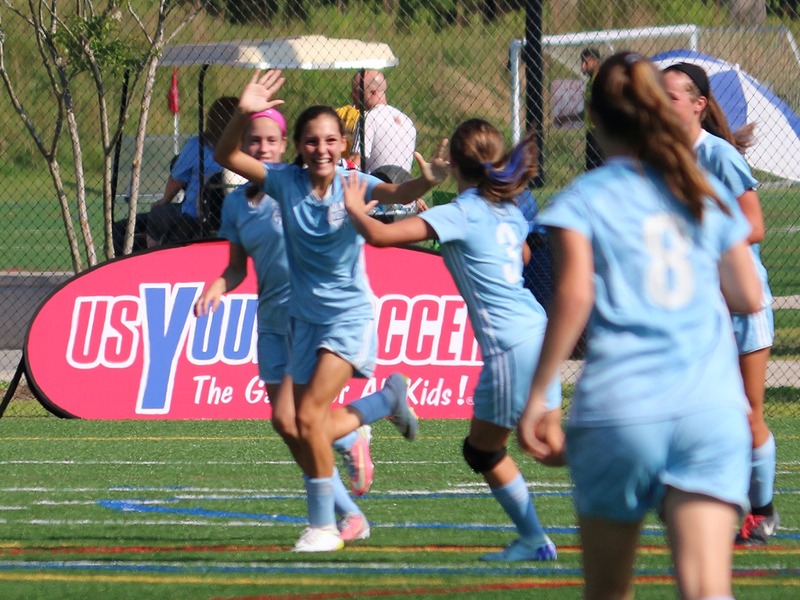 Players must be ready to commit to Delaware Rush for the 2018 / 2019 soccer year following the 2nd tryout. *The 3rd tryout (Supplemental Tryouts) will be used to fill any open slots within Delaware Rush teams. All players are expected to attend this tryout regardless if they have selected to a Delaware Rush team or not. Players who have missed the previous two tryouts and are still looking for a team are encouraged to attend. Players and Parents with any questions regarding our Program can reach out to the Director of Coaching contacts listed below. All players must register online 24 hours prior to their first scheduled tryout date. There will be a $15 tryout registration fee that will be collected online via credit card at the time of online registration. Players are only allowed to participate in tryouts if the $15 fee is paid. Check in will start 30 minutes prior to the tryout start time. It is important for any player (current or new) who will not be able to attend one or all tryout sessions for their age group need to notify us of this. Please contact Tom Antonelli at tantonelli@delawarerush.com or call the Delaware Rush office at 302-234-1444 to speak to a Delaware Rush Administrator. Players new to the area who miss tryouts can be evaluated on an individual basis at any time of the year. If you have moved to town after tryouts, please call the Delaware Rush office at 302-234-1444 Ext. 2 to schedule an evaluation. Returning Rush players, your evaluation has been an ongoing process since last August when the soccer year began. Each day whether the player has been training or playing in a game the team coach is evaluating their soccer abilities and their commitment to their team. Your placement on the team for the next year is determined mostly by their overall performance during the previous year’s play. Going into the tryouts, the Technical Staff will have a fair idea were the returning players fit when comparing their abilities. The tryout sessions are specifically used to compare returning players to any new players who attend the tryout sessions. Therefore we strongly recommend that players, returning and new, attend as many of the tryout sessions as possible to give themselves the best opportunity to be evaluated against all of their peers. The technical staff will place every player that wants to participate in our program for the upcoming year based on the number of players who want to be placed and their ability level. In placing every player only their abilities, the players and their families commitment and if the family is in good financial standing with the club will be the factors used. All placements will be determined by which level of play best suits the ability of each player. At the conclusion on the 2nd tryout, the Technical Staff will compare and contrast each player’s abilities in each age group. Each player will then be placed on either a competitive team or recommended for our recreational program. Notification of team placement will be made by a Delaware Rush Technical Staff representative following the 2nd tryout session. This notification will be done via e-mail. At this point each player/family has 24 Hours to accept or reject the offer. An email response is requested and preferred. If we do not receive a response we assume you are not accepting and the team spot will be offered it to the next player on our list.